Work from Home a good idea? There is no need to commute to work and it involves no travelling and also if you have any personal responsibilities e.g. taking care of a baby, repairing the house, readying the house for any party etc. It can help to spend more quality time with the family and also increases the bonding between the family members. You can relax in the luxury of your home and you need not wear a formal dress except for attending an interview, you can work from the comfort of your home. 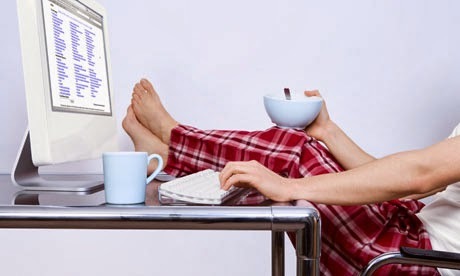 For men in general and women in particular work from home helps to maintain a good work-life balance and increases the satisfaction and helps to increase the productivity of the company. There won’t be any interaction with the employees and you may not be able to do much interaction with other people, so this tends to result in loneliness and isolation which may lead to stress and depression. You will not be expected a formal behaviour and there won’t be any deadlines or targets which may make you adopt a laid back and casual attitude towards work and you may develop procrastination. Since you will miss person to person interaction with your superiors and colleagues you may not be considered seriously for promotion.